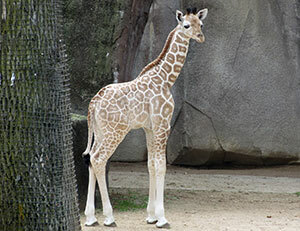 The Milwaukee County Zoo is happy to announce the name of its newest giraffe is Tafari. Tafari is a word from African origin meaning “he who inspires awe.” The Zoo invited visitors to choose their favorite name for the youngster through online voting on the Zoo’s website beginning Oct. 9. The Zoo received over 5,000 votes for five different name choices. The Zoo thanks all those who participated in helping choose a name for Tafari!